Unfortunately, a return date is unavailable at this time. You can view other similar items below, check back periodically for updates, or enter your email address below to be notified when this item becomes available. Thank you. You will be notified when the item is back in stock. 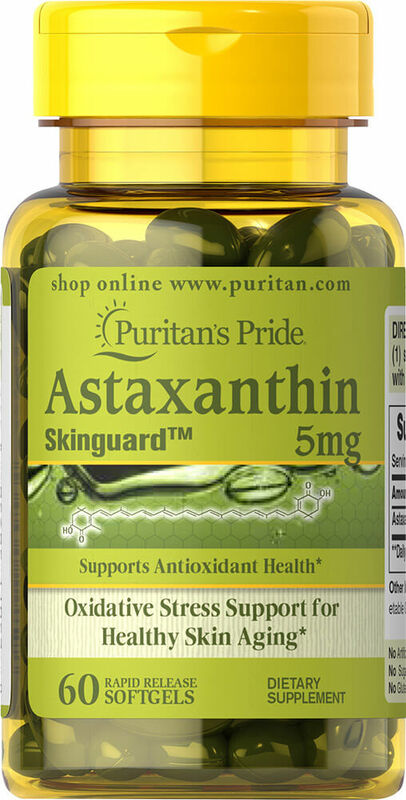 Astaxanthin Skinguard™ promotes antioxidant health. ** The antioxidants in Astaxanthin Skinguard™ help fight cell damaging free radicals that can lead to oxidative stress and premature aging of cells. ** Help maintain your natural, healthy glow with Astaxanthin Skinguard™. ** This economical Astaxanthin is meticulously manufactured to meet our highest quality standards and provide you with an alternative choice for your Astaxanthin supplement.